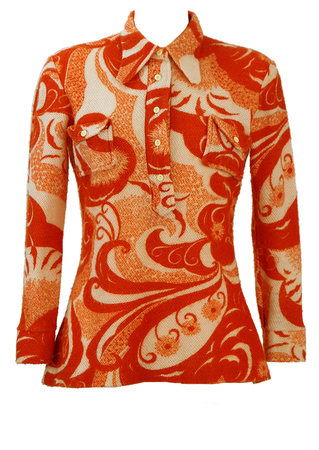 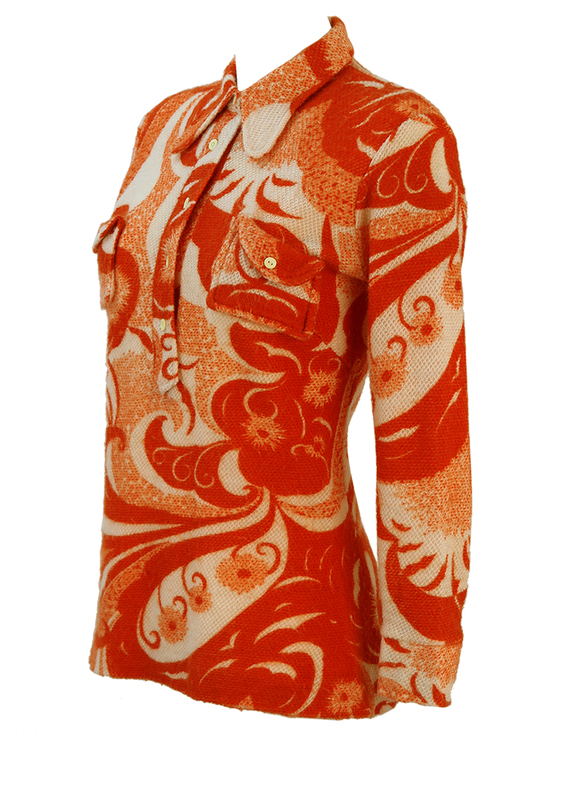 Vintage 60’s button front tunic top with a striking dark orange and white psychedelic pattern and two button front pockets. 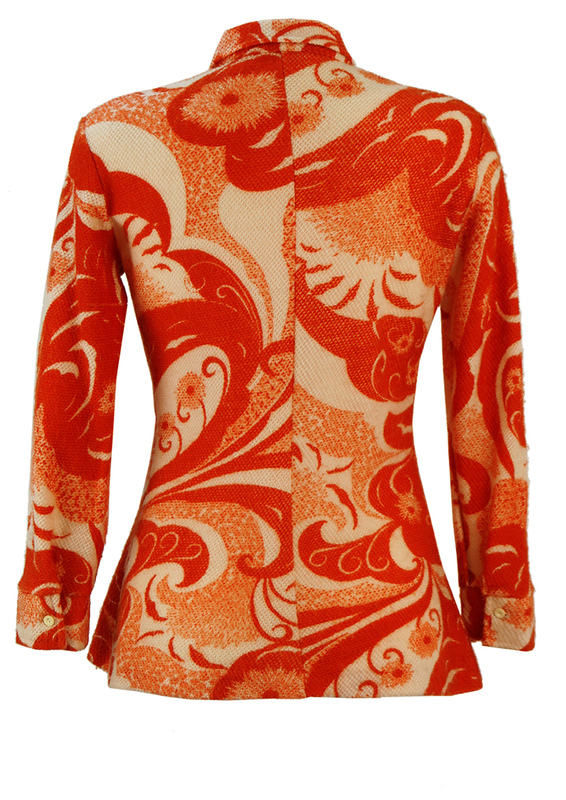 The top has a textured, wool-like feel to it although the fabric is probably man made in line with materials typical of the era. The fabric has some stretch to it and for this reason we have sized the garment as a size S/M. 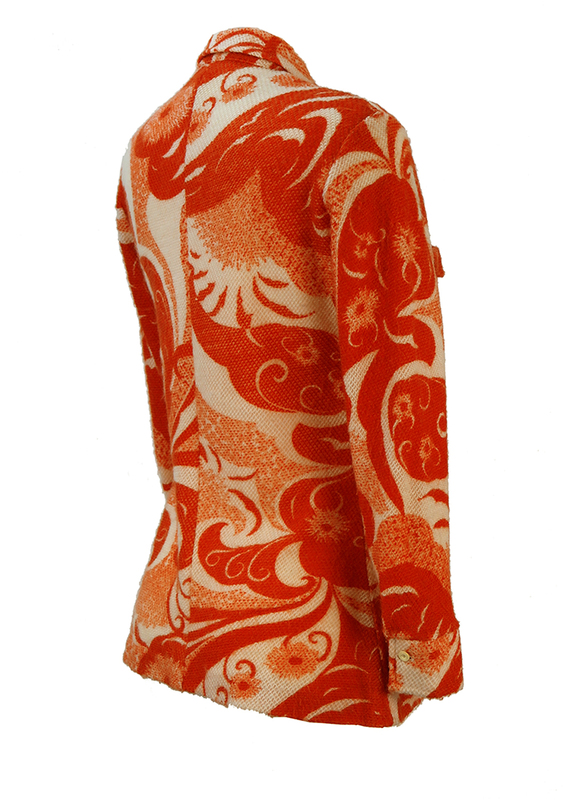 Please refer to our measurements (which have been taken with the fabric non stretched) for further sizing guidance.